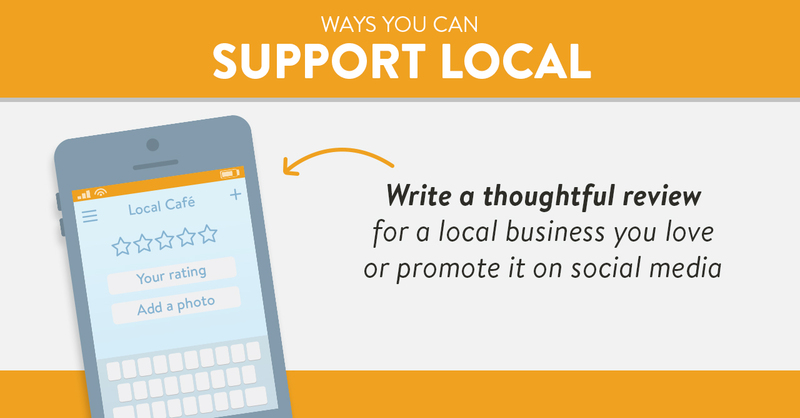 The most obvious way to support your surrounding community is with the choices you make with your dollars. 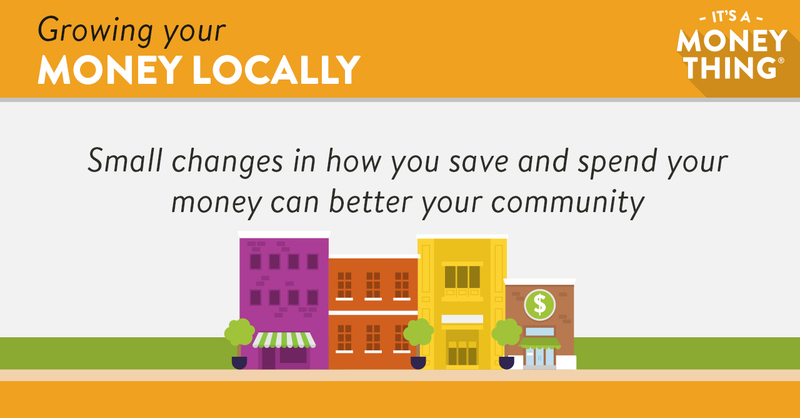 Money you spend in your community is recirculated in the local economy instead of being extracted from it. This translates into more local jobs, more opportunities for local business owners and service providers, and more tax dollars that stay in the community. 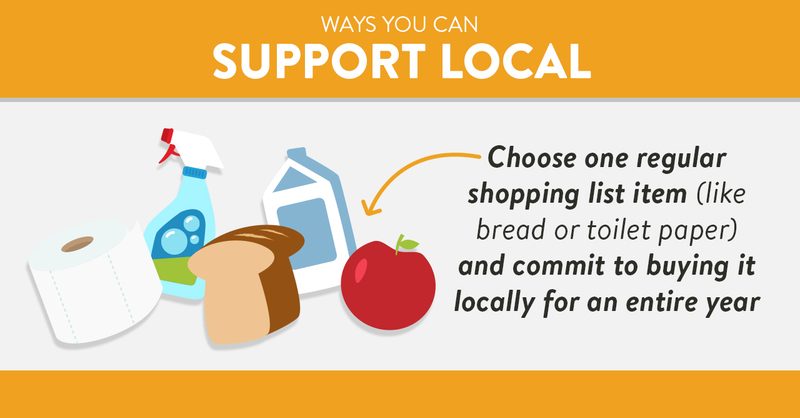 Supplementing your grocery shopping list with fresh farmers’ market finds, choosing independent cafés and restaurants over national chains, and purchasing art and gifts from local vendors are all simple ways to support your local economy.